Dental Health Associates of Streetsboro is looking for some Likes! Please take a minute to visit our Facebook fan page and Like us. You will be able to find the latest on specials that we are running at the office, as well as Dr. Kremser’s thoughts on the latest dental issues, or really any issues that you may want to discuss. 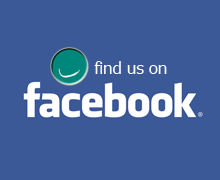 Our Facebook page offers patients the chance to quickly interact with Dr. Kremser. You will also be able to post your thoughts on your latest visit to the office. Thanks for Liking us! We Like you, too!